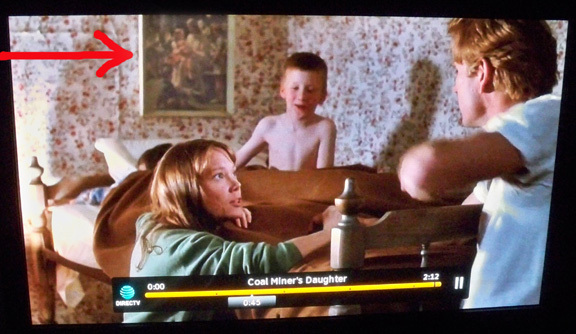 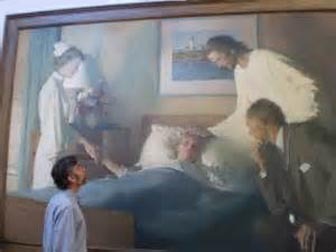 Harry Anderson’s famous “What Happened to Your Hand?” painting appeared in the 1980 movie COAL MINER’S DAUGHTER, the story of country singer Loretta Lynn! 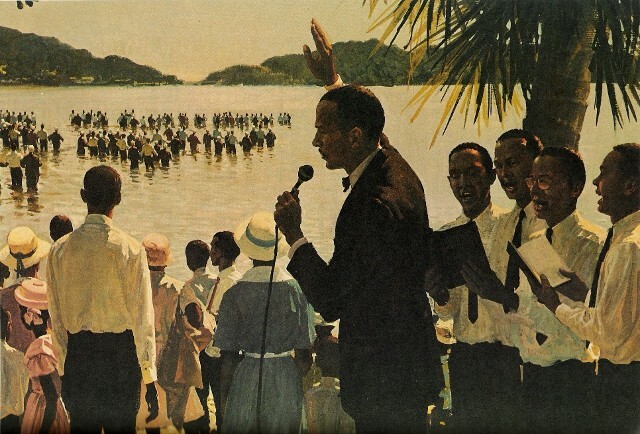 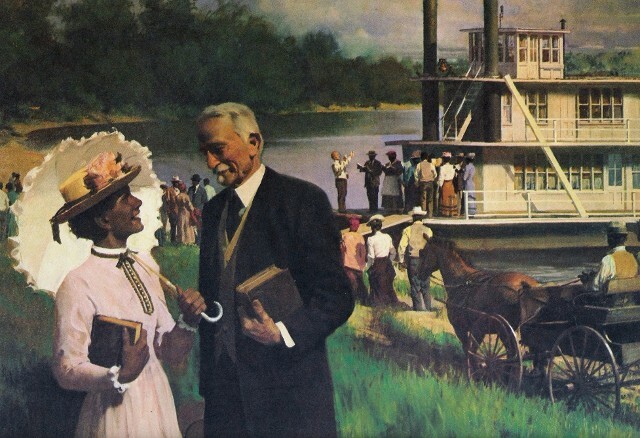 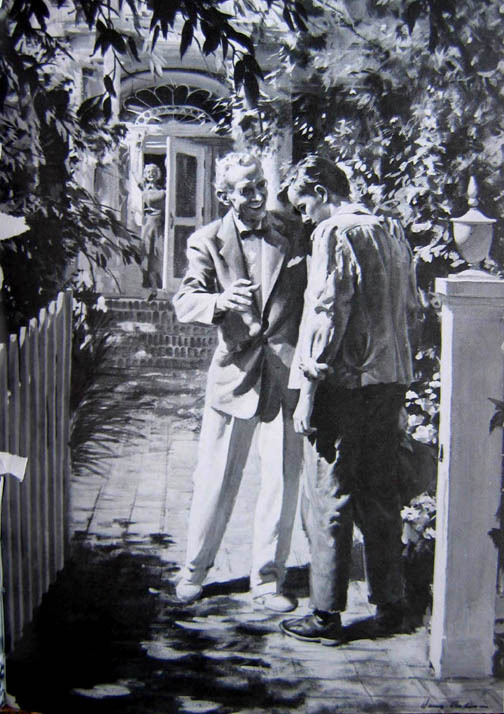 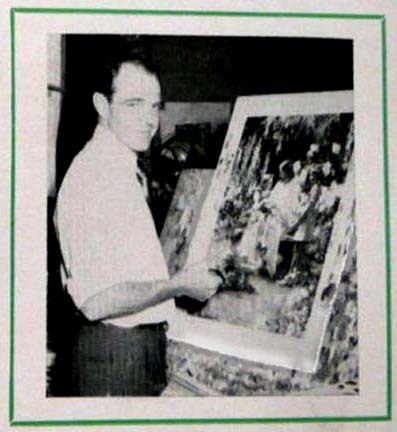 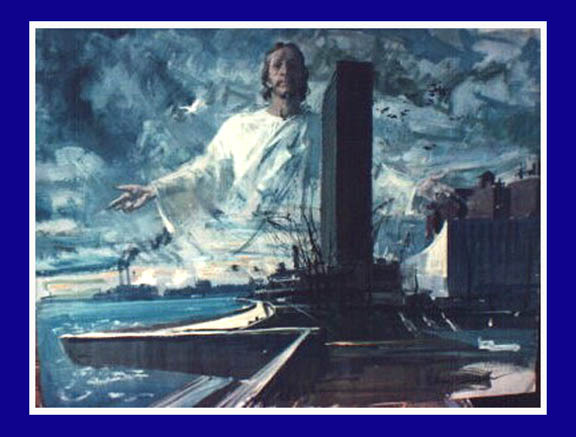 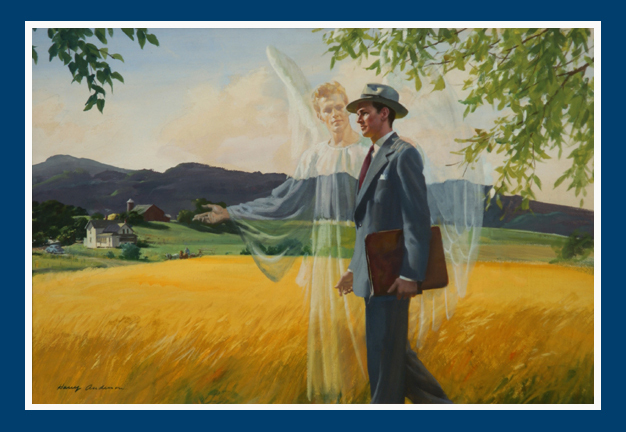 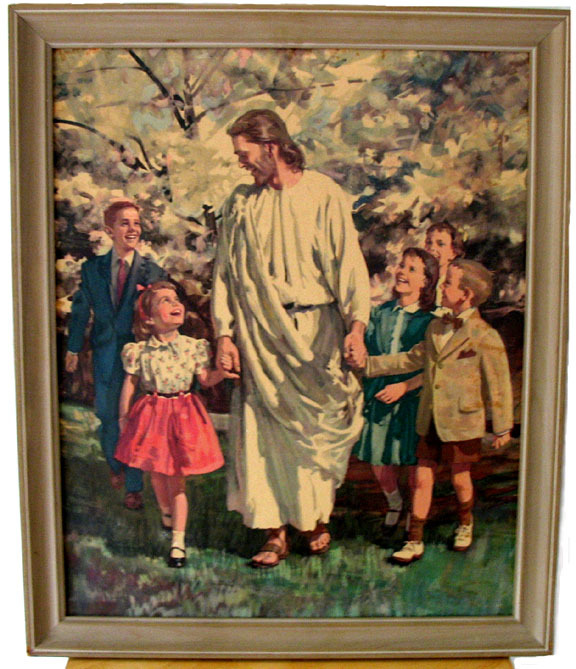 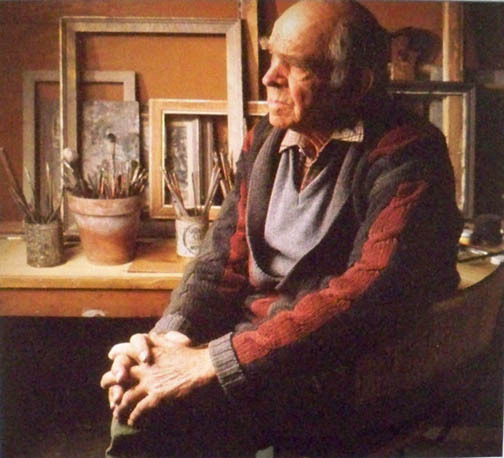 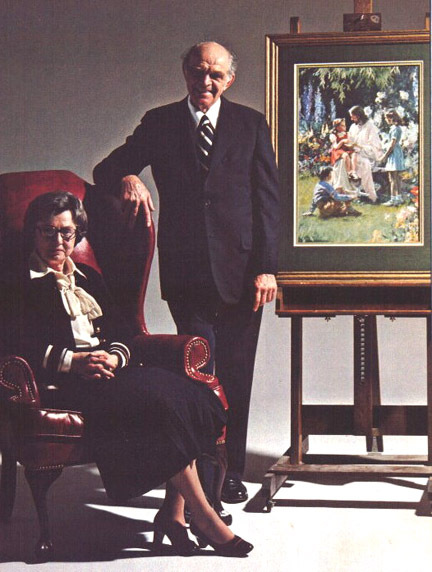 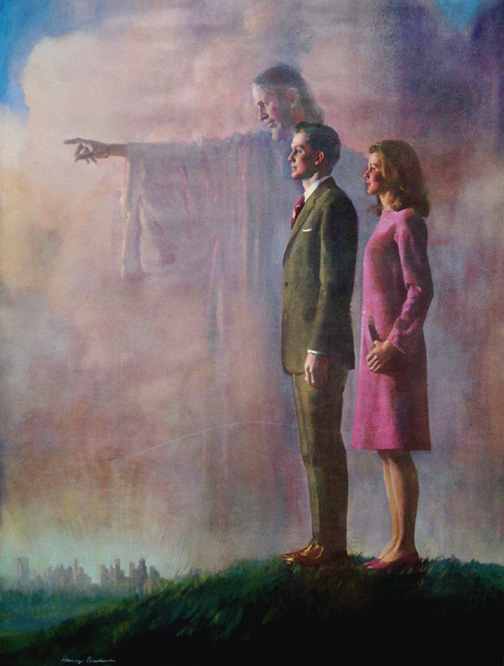 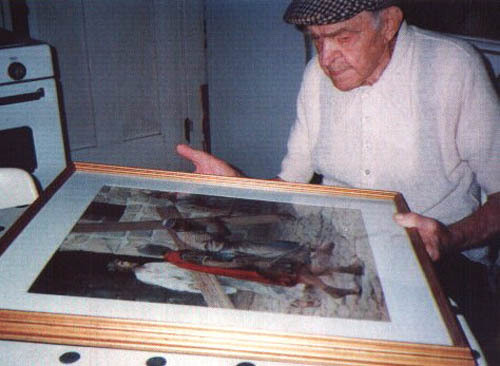 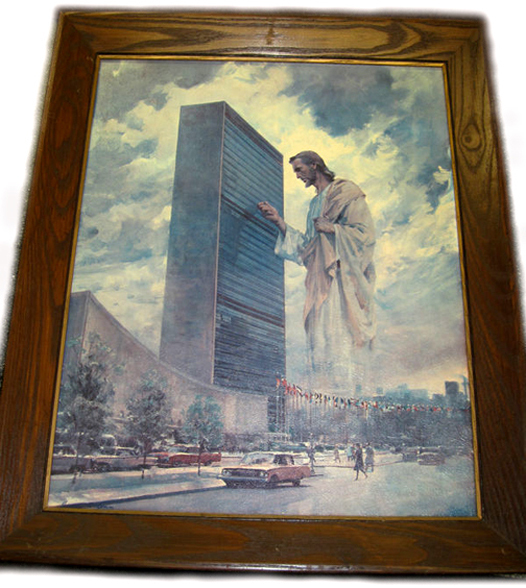 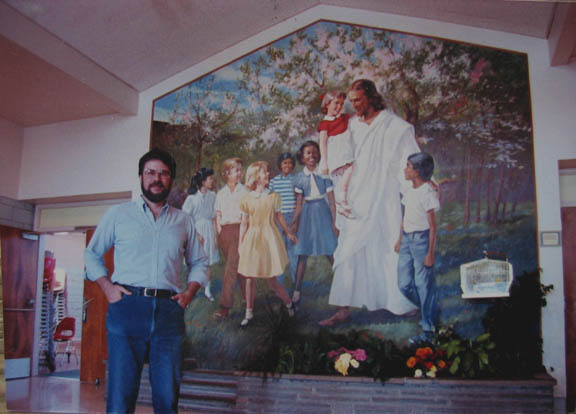 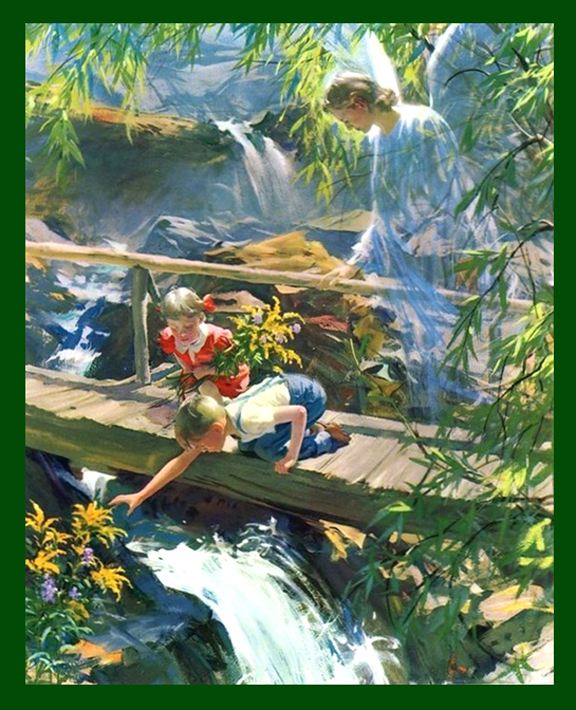 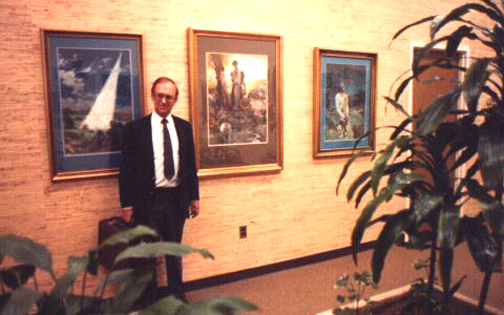 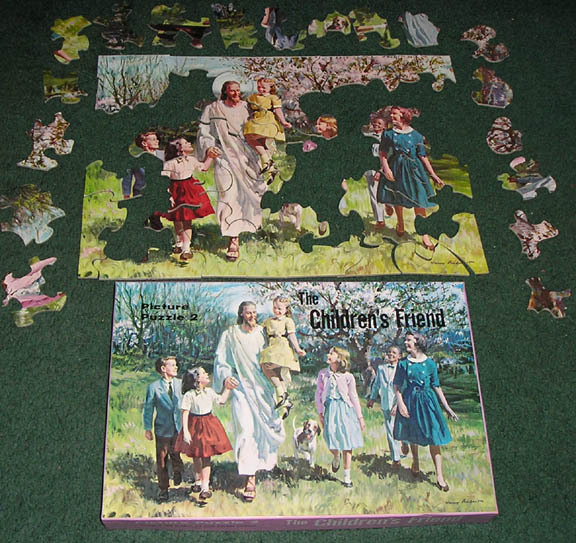 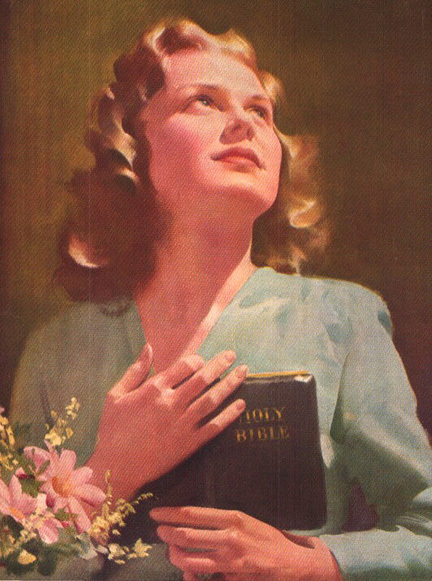 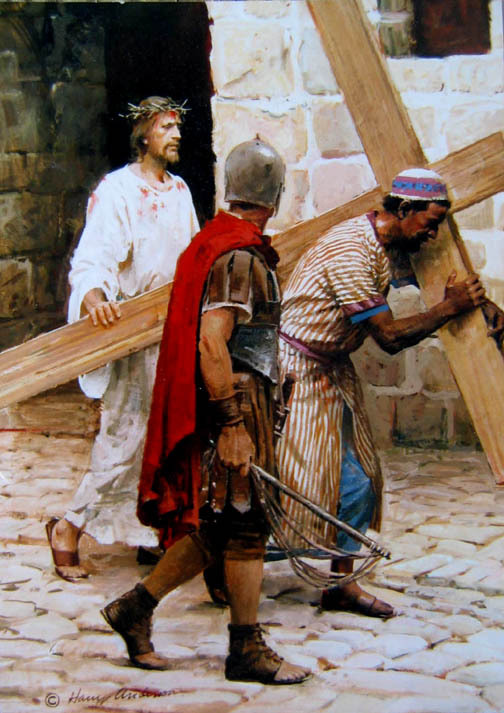 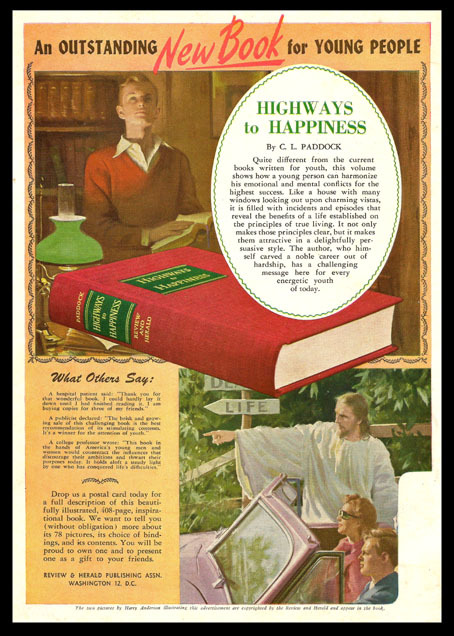 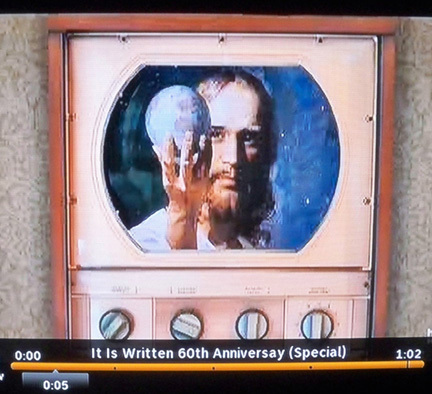 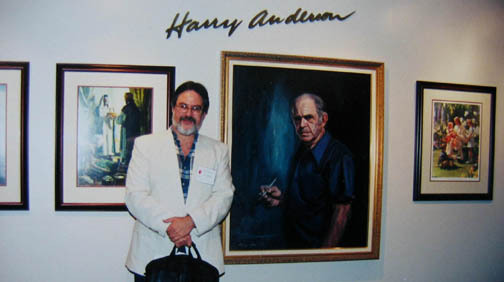 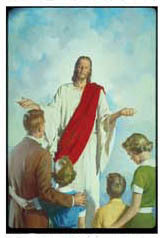 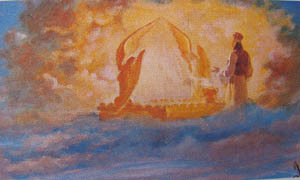 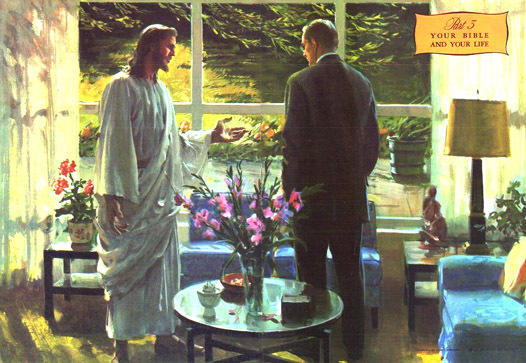 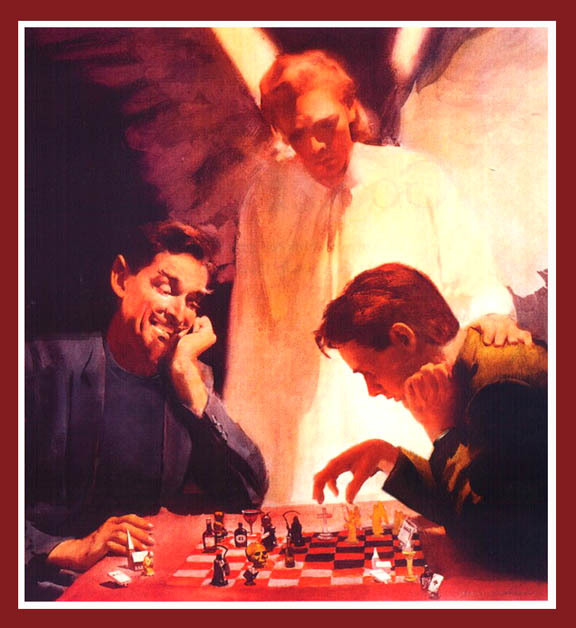 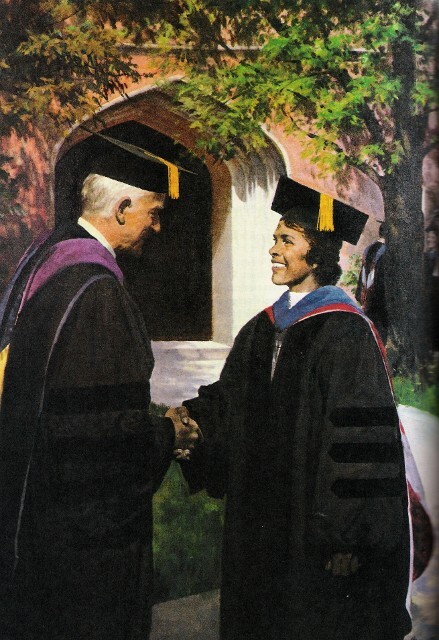 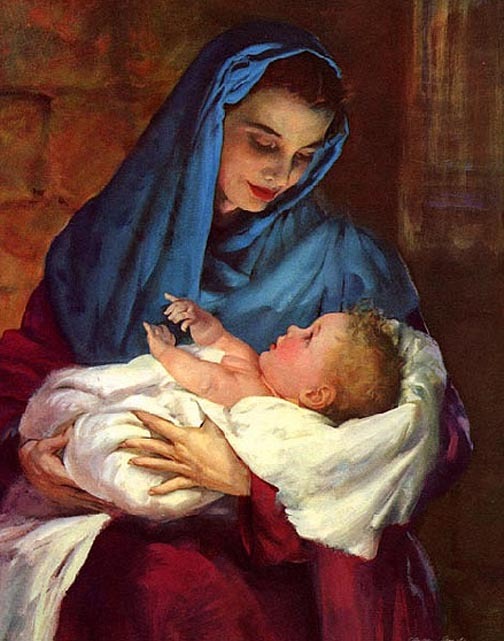 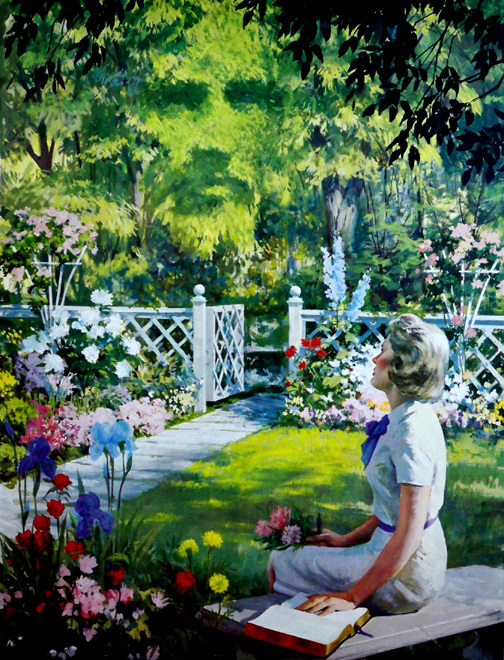 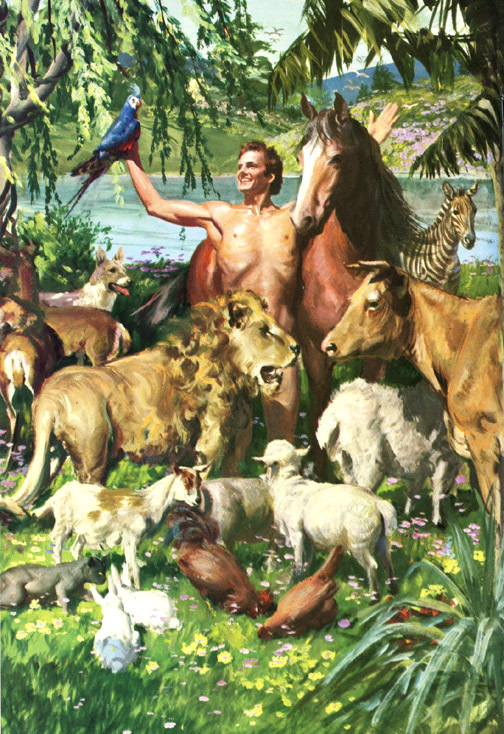 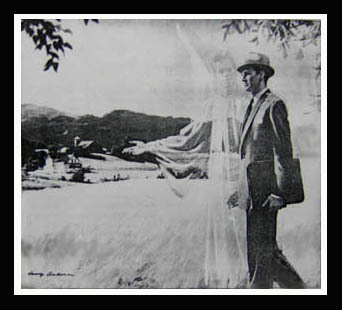 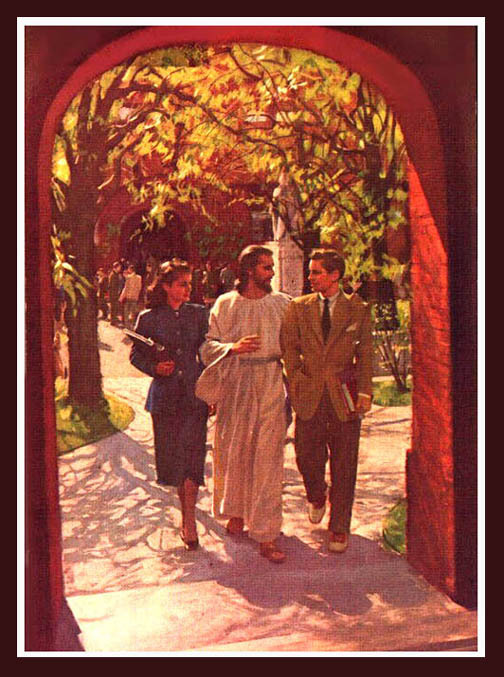 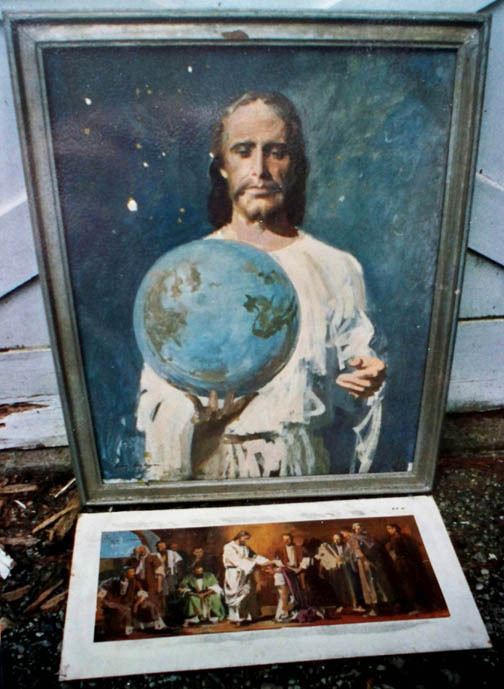 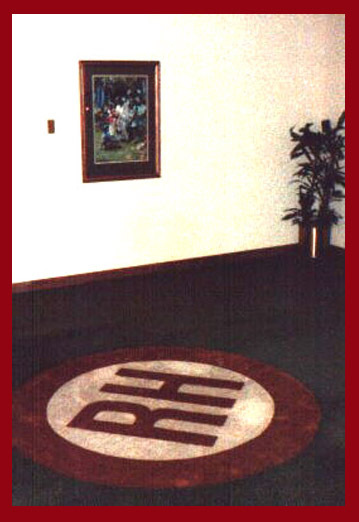 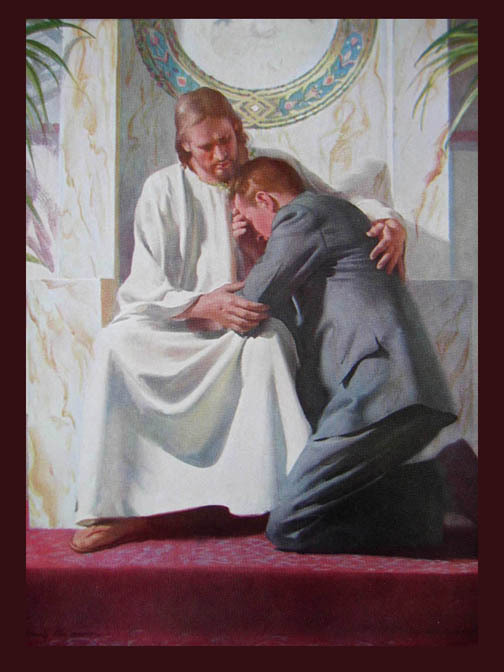 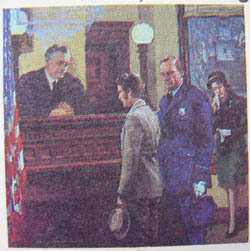 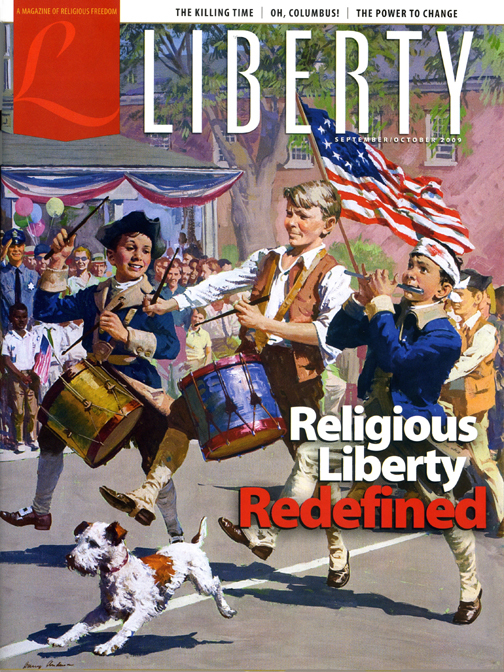 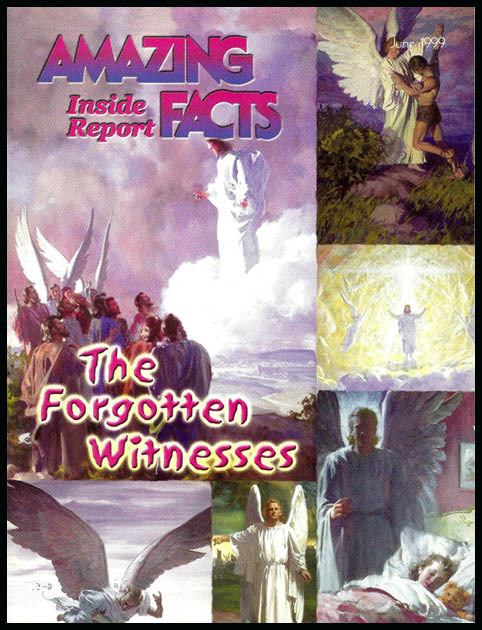 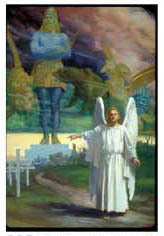 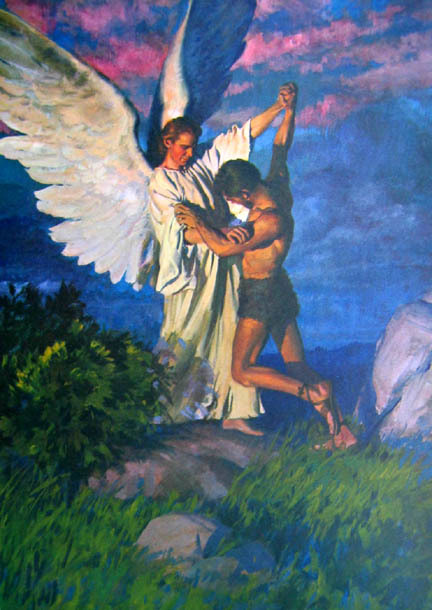 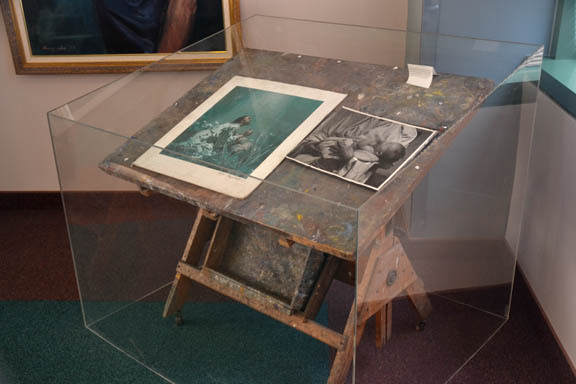 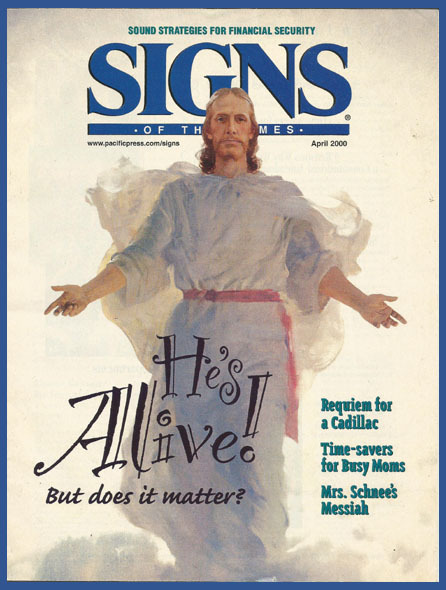 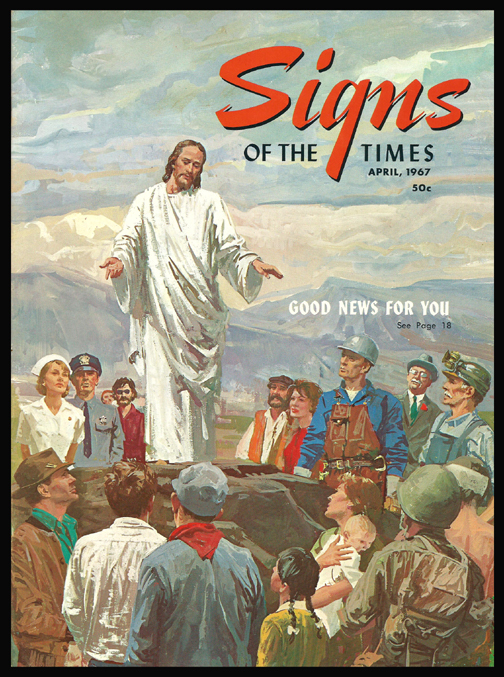 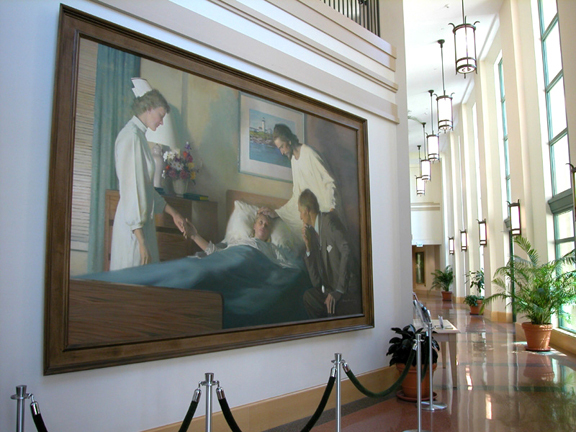 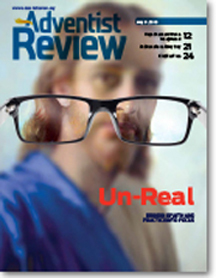 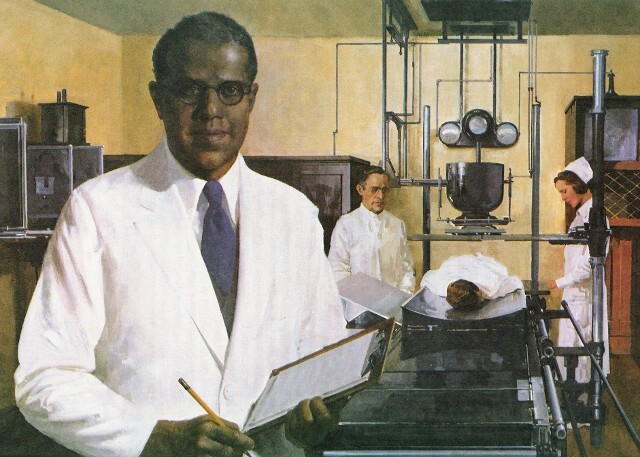 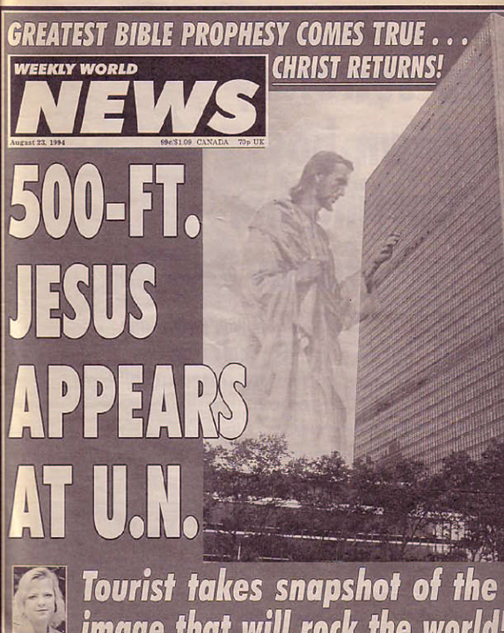 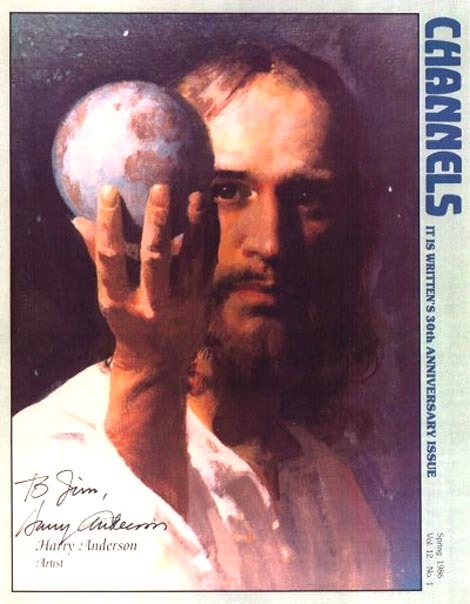 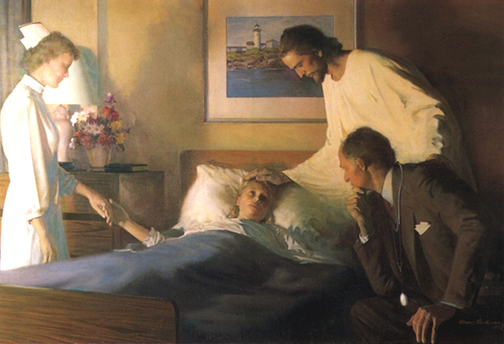 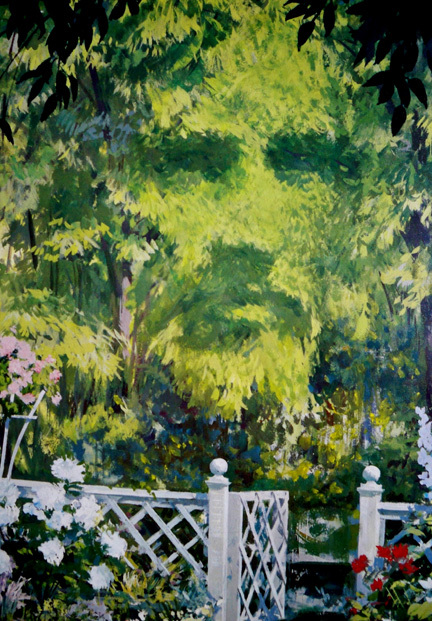 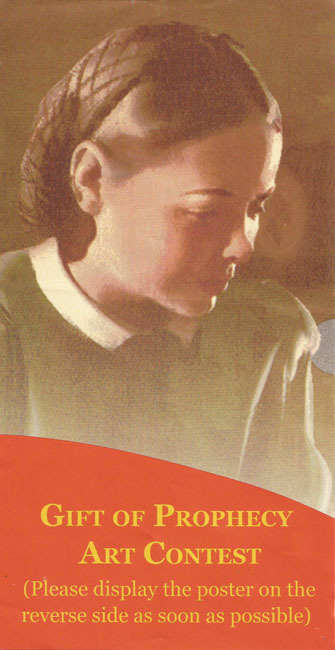 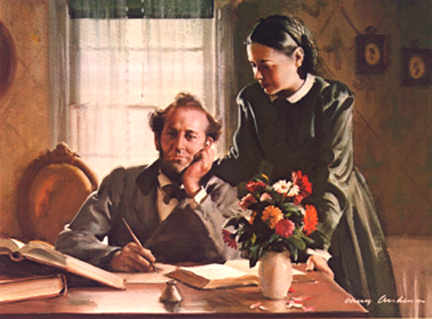 Harry Anderson became a Seventh-day Adventist in 1944, and during his lifetime he did around 300 paintings for the SDA Church — and one of his many paintings of Jesus was most recently featured on the May 9th, 2013 issue of THE ADVENTIST REVIEW Magazine (above). 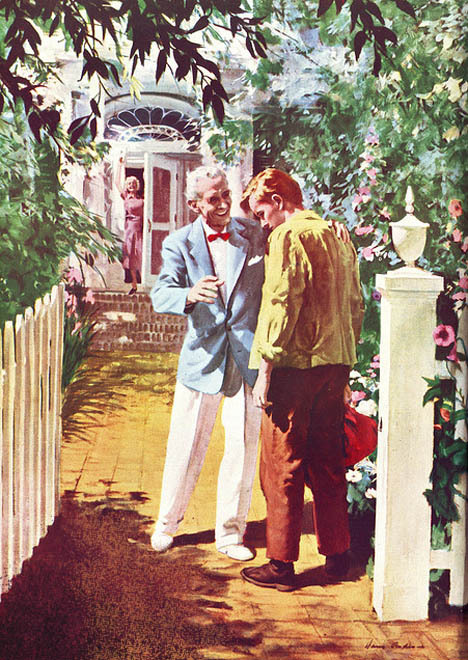 This was an ad that featured Spencer Tracy as a pilot — with a young girl sitting on his lap, and a young boy holding a model airplane… very similar to “What Happened to Your Hand?” — both were painted in 1945! 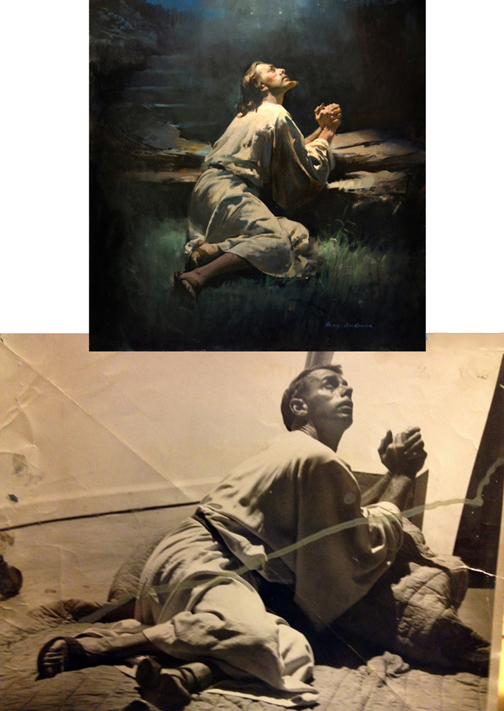 … and in July 2013 Lars Justinen sent me a **COLOR** scan of it!! 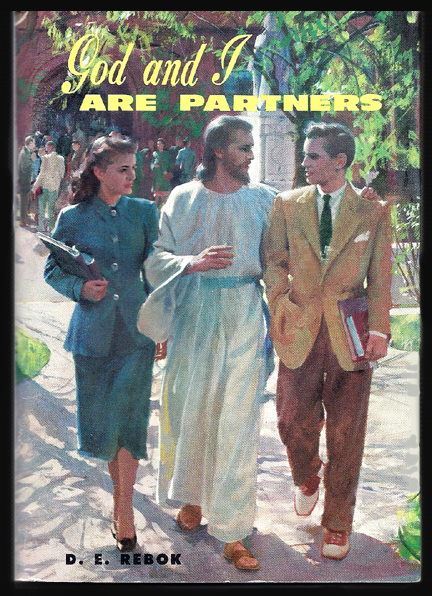 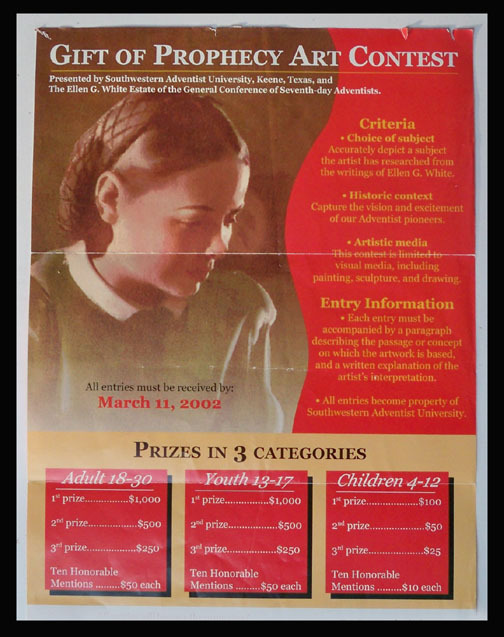 New Find: An Old Poster! 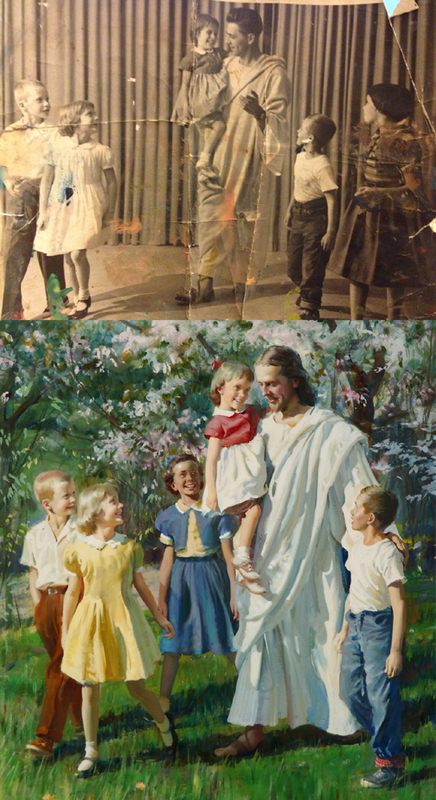 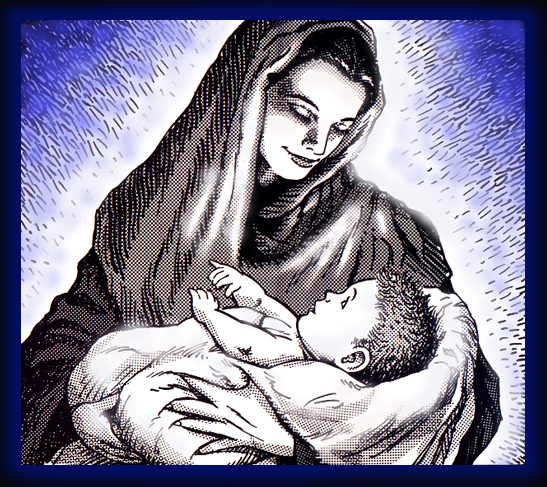 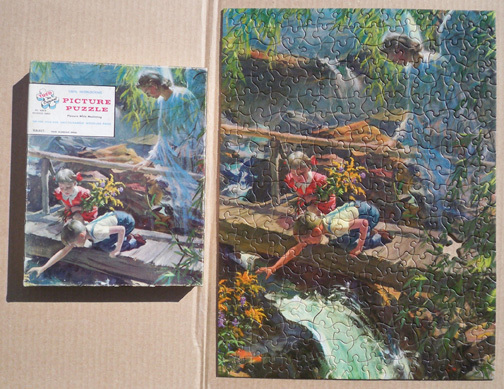 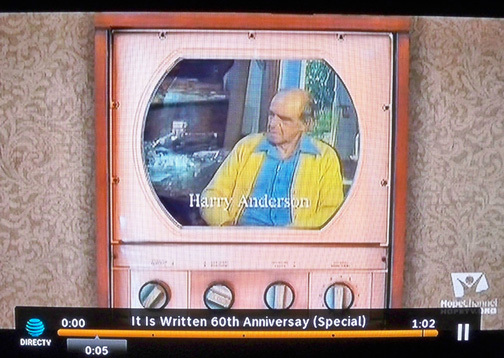 … then I finally saw it in full color! 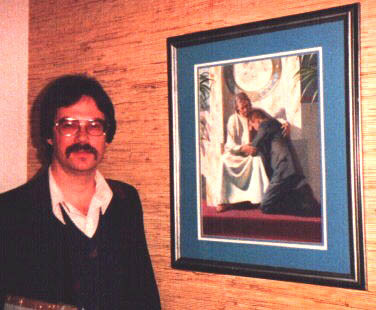 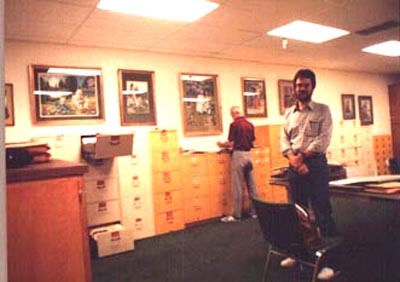 Me in 1985 with this original…. 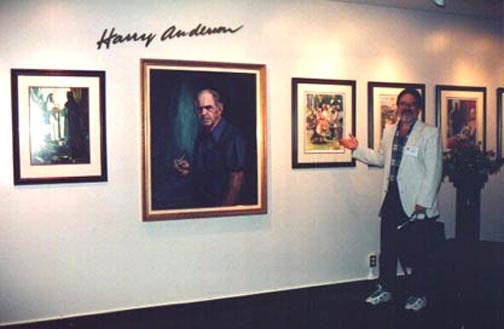 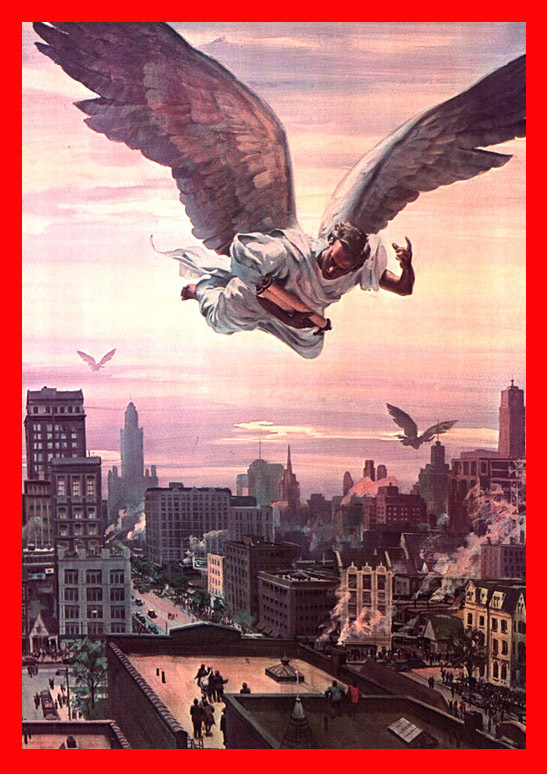 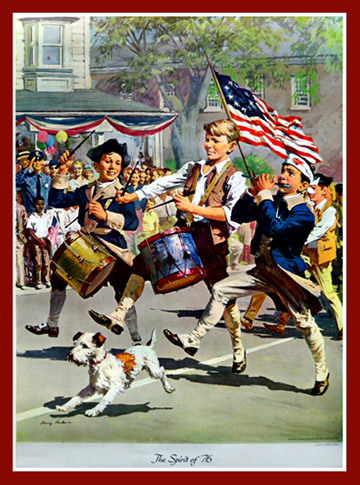 It’s been a real joy collecting Harry Anderson’s art. 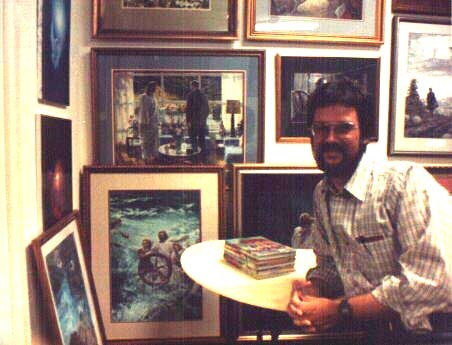 I’ve been at it for 30+ years! 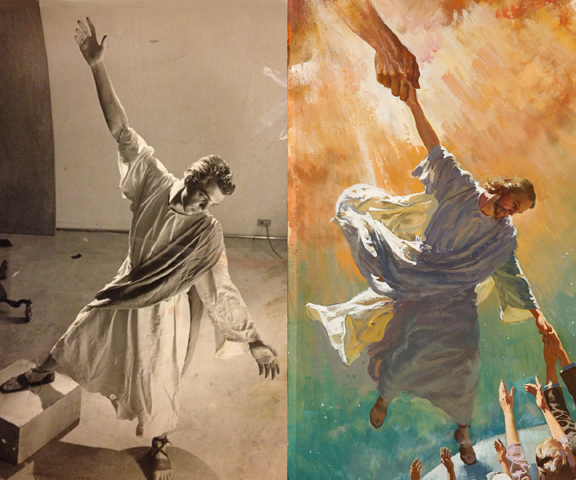 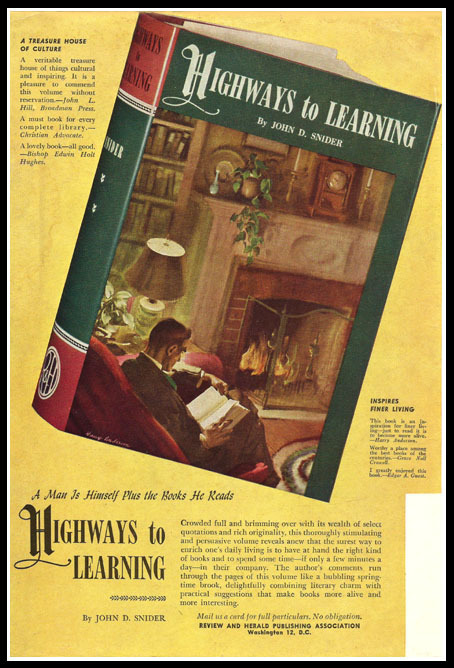 I’m still looking for better prints or scans of these Harry Anderson illustrations… if anyone out there can help me, please contact me!